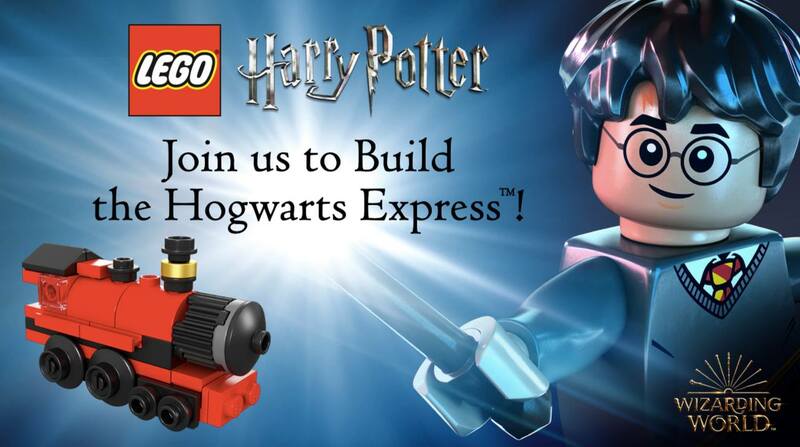 Barnes & Noble, Inc., the world’s largest retail bookseller, announced that it will be hosting a LEGO Harry Potter Hogwarts Train build event at select stores nationwide on Saturday, August 4, at 2 PM, where customers will have the opportunity to build a mini Hogwarts train that they can take home with them. There are limited quantities available and select stores may require customers to sign up for the event in advance. Customers should contact their local store for details as soon as possible so they do not miss out on this exciting event! The event continues Barnes & Noble’s 20th anniversary celebration of the publication of Harry Potter and the Sorcerer’s Stone in the United States, and also will include 20 Years of Magic event kits featuring cool giveaways. In addition, customers will receive 25% off all Harry Potter paperbacks, including the new books featuring Brian Selznick’s artwork, in-store and online through August 6. Customers are encouraged to share pictures of the event on their social media channels using the hashtags, #BNHarryPotter20 and #BNLEGOBuild. For more information, customers should visit the Barnes & Noble Store Locator or speak with one of the knowledgeable booksellers at their local store.